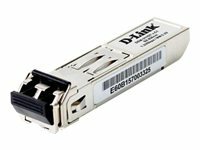 Featuring D-Link Green 3.0 technology, the DGS-1510 series offers a high level of energy saving and efficiency, as it also complies with the IEEE 802.3az Energy Efficient Ethernet standard. Support for IPv6 management and configurations ensures your network remains protected after the upgrade from IPv4 to IPv6. By offering multiple management options, the DGS-1510 Series allows quick deployment, infrastructure expansion, and seamless function upgrades. Built for small and medium-sized businesses, the DGS-1510 Series provide functionality, security, and manageability for a fraction of the standard cost of ownership. Depending on whether linear or fault-tolerant ring stacking is implemented, users can use one or two 10-Gigabit SFP+ ports to create a physical stack. 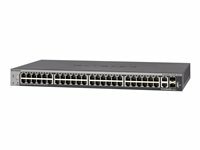 6 units or 288 Gigabit ports can be configured for a stack using optional direct attach cables to provide high bandwidth on the DGS-1510 Series with cost efficiency. Users can mix any models from the DGS-1510 SmartPro series in a single stack to allow simultaneous and easy configuration, management and troubleshooting. DGS-1510 series supports virtual stacking via D-Link's Single IP Management (SIM), allowing up to 32 devices to be managed via a single IP. This simplifies management of small workgroups or wiring closets while allowing the network to be scaled to handle increased bandwidth demand. SIM not only reduces the number of IP address needed in your network but also allow switches to be stacked together over Ethernet instead of using physical uplink or stacking ports. This eliminates the need for any specialised stacking cables while at the same time removing the distance barriers that typically limit your topology options when using other stacking technology. These switches are equipped with a complete lineup of Layer 2 features including IGMP Snooping, Port Mirroring, Spanning Tree, and Link Layer Discovery Protocol (LLDP). The IEEE 802.3x Flow Control function allows servers to directly connect to the switch for fast, reliable data transfer. At 2000 Mbps Full Duplex, the Gigabit ports provide high-speed data pipes to servers with minimum data transfer loss. Network maintenance features include Loopback Detection and Cable Diagnostics. Loopback Detection is used to detect loops created by a specific port or VLAN and automatically shut down the affected port or VLAN. The Cable Diagnostics feature, designed primarily for administrators and customer service representatives, can quickly discover the type of error on cables and determine the cable quality. The DGS-1510 Series supports Auto Surveillance VLAN (ASV) and Auto Voice VLAN, which are best suited to VoIP and video surveillance deployments. Auto Surveillance VLAN is a new, industry-leading technology built into D-Link Smart Switches. The DGS-1510 series supports virtual stacking via D-Link's Single IP Management (SIM), allowing up to 32 devices to be managed via a single IP. This simplifies management of small workgroups or wiring closets while allowing the network to be scaled to handle increased bandwidth demand. SIM reduces the number of IP address needed in the network and allows switches to be stacked together over Ethernet instead of using physical uplink or stacking ports. This eliminates the need for specialised stacking cables and removes distance barriers that can limit topology options when using other stacking technology. 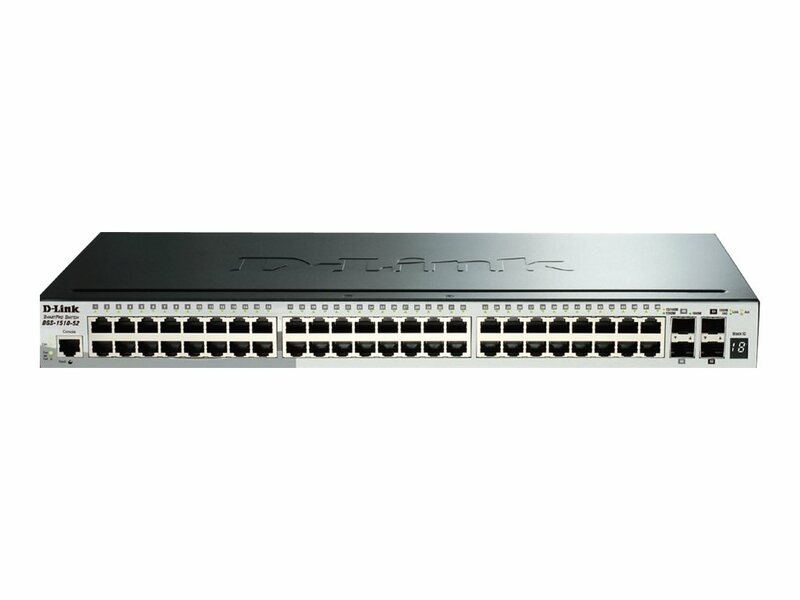 D-Link's innovative safeguard engine protects the switches against traffic flooding caused by virus attacks. The switches also support 802.1X port-based authentication, allowing the network to be authenticated through external RADIUS servers. In addition, the Access Control List (ACL) feature enhances network security and helps to protect the internal IT network by screening ingress traffic based on MAC or IP addresses. The DGS-1510 series includes ARP Spoofing Prevention, which protects from attacks on the Ethernet network that may allow an intruder to sniff data frames, modify traffic, or bring traffic to a halt altogether by sending fake ARP messages to the network. To prevent ARP Spoofing attacks, the switch uses Packet Control ACLs to block invalid packets that contain fake ARP messages. For added security, the DHCP Server Screening feature screens rogue DHCP server packets from user ports to prevent unauthorised IP assignment. The DGS-1510 series provides a D-Link Network Assistant Utility and a web based management interface that enables administrators to remotely control their network down to the port level. The D-Link Network Assistant Utility allows customers to easily discover multiple D-Link SmartPro Switches within the same L2 network segment. With this utility, users do not need to change the IP address of their PC. It also simplifies the initial setup of the SmartPro Switches. Switches within the same L2 network segment that are connected to the user's PC are displayed on screen for instant access. This allows extensive switch configuration and basic setup of discovered devices including password changes and firmware upgrades. The DGS-1510 Series also supports D-View 6.0 and a fully featured Command Line Interface (CLI) via dedicated out-of-band console port. D-View 6.0 is a Network Management System that allows for the central management of critical network characteristics such as availability, reliability, resilience, and security. CLI management of the switches is possible via console port and Telnet interfaces. This makes it possible to adjust basic settings, passwords, configuration files, and firmware with ease. 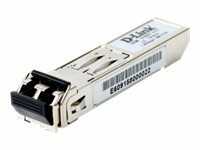 DGS-1510 switches are capable of conserving power without sacrificing operational performance or functionality by using D-Link Green 3.0 technology. Using the 802.3az Energy Efficient Ethernet standard, the network will automatically decrease the power usage when traffic is low with no setup required. For environments not fully supporting the standard, DGS-1510 switches offer advanced power-saving settings including port shutoff, LED shutoff, and system hibernation based on custom scheduling profiles.